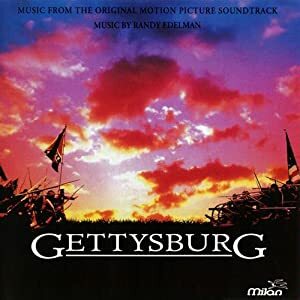 While Gettysburg may conjure up images of war in your mind, this soundtrack isn’t heavy on the “action” or “battle” tracks. It is more solemn or somber at times while other times it is glorious and triumphant. It would make good pre-battle or post-battle music. The “battle” tracks (such as “The First Battle”, “Over the Fence”, and “Battle at Devil’s Den”) are heavy on the snare, but remind me more of intrigue, more of breaking into a compound than the type of music I’d play while characters were swinging swords at each other or shooting enemies.